These 6 photos were commissioned by the National Geographic and Cengage Learning. This was a wonderful opportunity that I had to work with such prestigious companies in August and September of 2014. These pictures are not of my rats they are of my birds. And copyrighted to me personally not to Camarattery. I post my birds here because it is an honest part of my portfolio. And I feel its an important part of my breeding courier. These are my personal pets and they are all here at my home. From left to right: 17E John Grey, 17E Grace, 17E Cloak and below, 17E Sprite, 17E Pickle & 17E Vlasic. My birds are an important part of my life and breeding program as I have been breeding them since 1983, 31 years now. 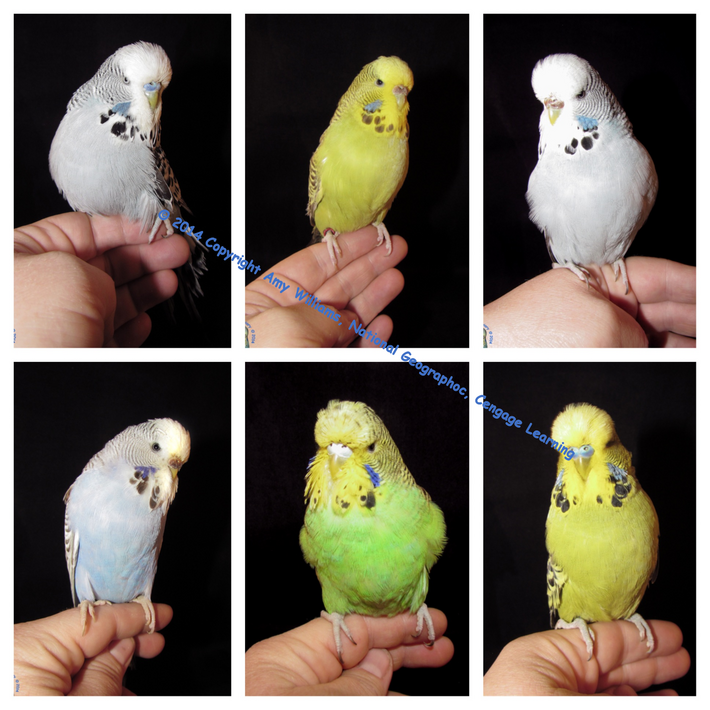 I have been a serious Budgerigar breeder and exhibitor for most of my life. So I am just as proud of them as I am of my rats. © Copyright 2014. All rights reserved to Amy Williams (myself) and National Geographic & Cengage Learning on these 6 photos. These 2 companies and myself have exclusive rights to them and they cannot be used in any way. Many rat people have bad behavior when it comes to photos and I am not posting this as a suggestion. Nat Geo and Cengage own these photos and they and myself will pursue you to the fullest extent of the law if you take or use them in any way.